My son is a picky eater. This really shouldn't have been a surprise for me since most kids are pretty picky eaters. And I'm pretty sure I was a picky eater. I guess I just had it stuck in my head that my son wouldn't be picky because my husband eats practically everything. Like father like son, no? Nope. I feel like I can count on my hands the foods my son will eat consistently. Wait, I think I really can do that...let's see there is yogurt, fruit, breakfast sausage, frozen yogurt (or ice cream), and pouches. Those are consistent, like 99% of the time he'll eat them. But he'll also usually eat peas, pancakes, crackers, chicken nuggets, and toast. That's about it. Did you count those on your hands? Yup. Honestly, I feel so defeated feeding him sometimes (who am I kidding, I feel this way all the time). I used to do more experimentation, but I've been let down too many times and I lost hope a bit. I'm really feeling like I need to launch into another effort to introduce and re-introduce some foods, but #tiredmom. It's especially tough since I love cooking and baking and I get so excited about making things for him. Then he "returns to sender" - aka, spits it back out. At least he tried it, eh? Better than not even putting it in his mouth. All that said, I get excited. No, I get ECSTATIC when he eats something new. A few weeks ago I helped host a baby shower for a friend. We had some leftover baby carrots. What to do. Caleb won't eat baby carrots. Then I thought I'd bake them into a muffin and see what happens. 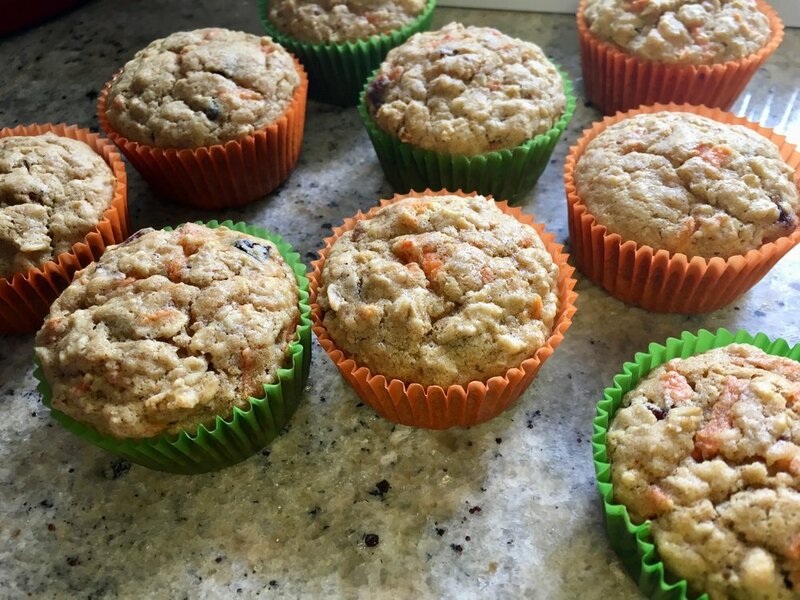 I remembered really liking these carrots muffins in the past, so I pulled out the recipe. Guess what? He ate TWO muffins that day. TWO! That's unheard of. That's crazy. Wait, is that my child? But he continued to eat them over the next few days and he enjoyed them. "Mommy, nom nom," he would say. YAY! Do I have your attention now? Good! Let's talk about the muffins. 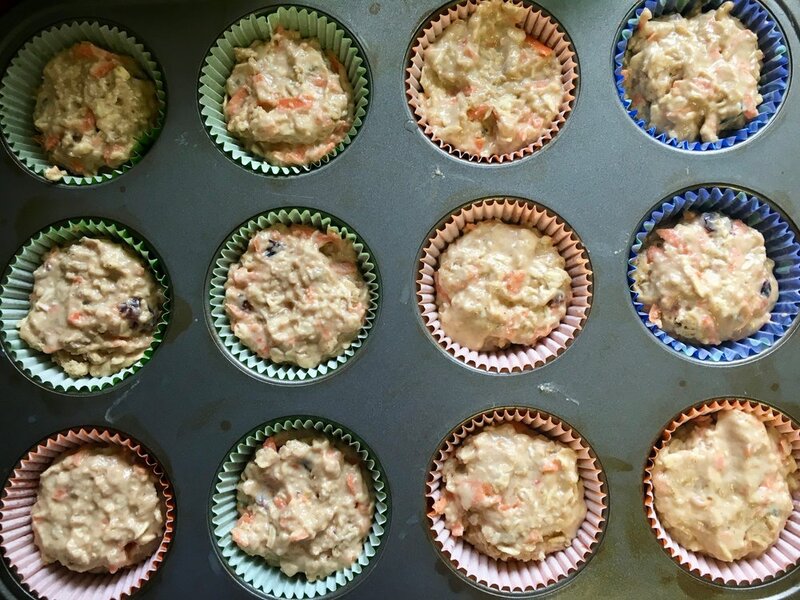 These are pretty healthy for muffins. Not cupcakes without frosting. For one, there is not a ton of sugar. Plus they have carrots and oats both which are good things in my book. Even better, they are easy and can be made quickly with little mess since it's all in one bowl. 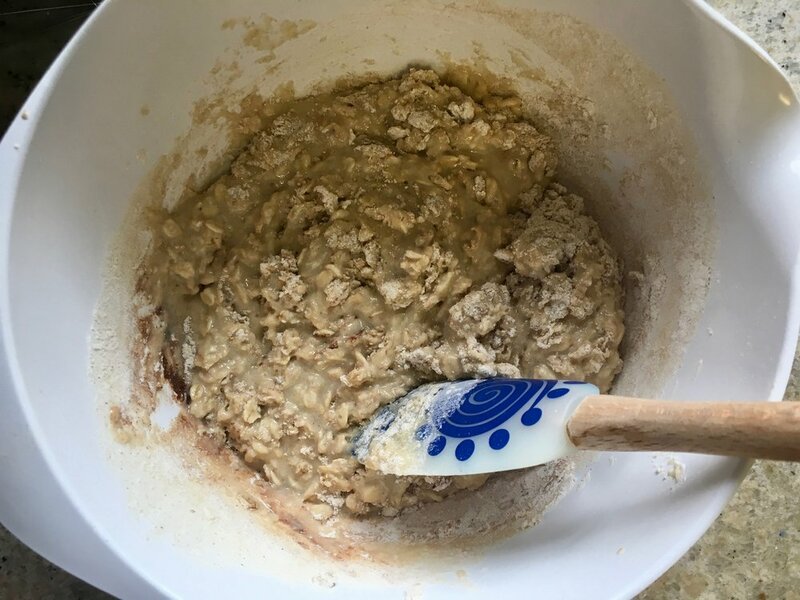 One caveat, you do need to plan ahead a bit since you need to soak the oats for an hour before mixing it all up. The oats soak in milk and vinegar. Milk and vinegar together basically make buttermilk. Did you know that? If you don't have buttermilk, just put in a tablespoon of vinegar in with a cup of milk, stir and let sit for 5 minutes...voila, buttermilk! Don't let those shredded carrots turn you off thinking it's too much work. It really isn't. I promise. If I need a lot of shredded carrots, I usually pull out my food processor. I hate cleaning that for some reason. 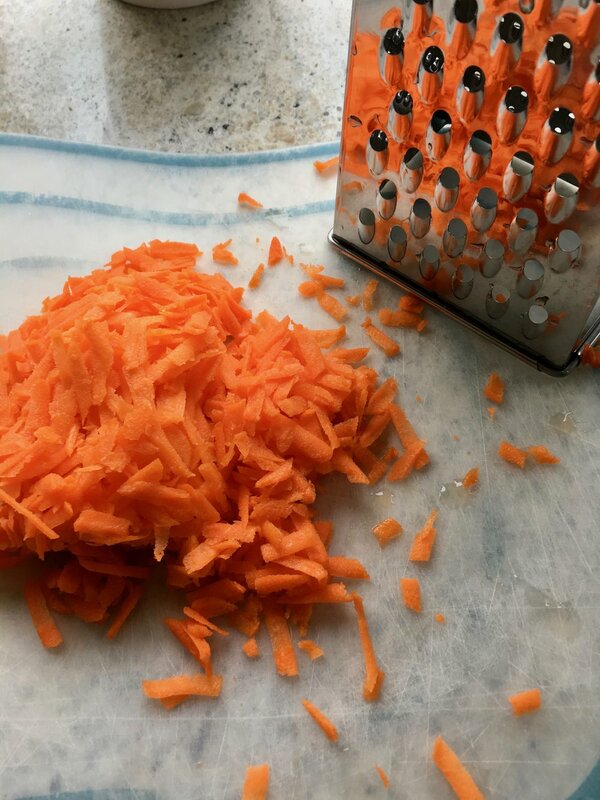 However, for 3/4 cups shredded carrots, I just used my hand grater and it took two minutes or less (I didn't use a timer, that's a guess). It just takes 2-3 carrots. Zoom zoom zoom, goes the carrot over the shredder and then you're done. Oh, and don't use the pre-shredded carrots from the store. Those are much thicker and drier and really aren't tasty in baked goods. Use those for salads, not muffins. To try and boost these muffins up some more, I did half whole wheat flour and half all-purpose flour. The original recipe is all all-purpose, and that is totally good as well. I just want to get as much oomph in these for my son as possible. Another thing I found it surprising is that there was no vanilla extract in these muffins. I feel like all muffin recipes have vanilla extract as an ingredient. I sit here wondering what adding it would do to the flavor. I think it could be good, so I'll try next time and see how it goes. But they are still delicious without it. 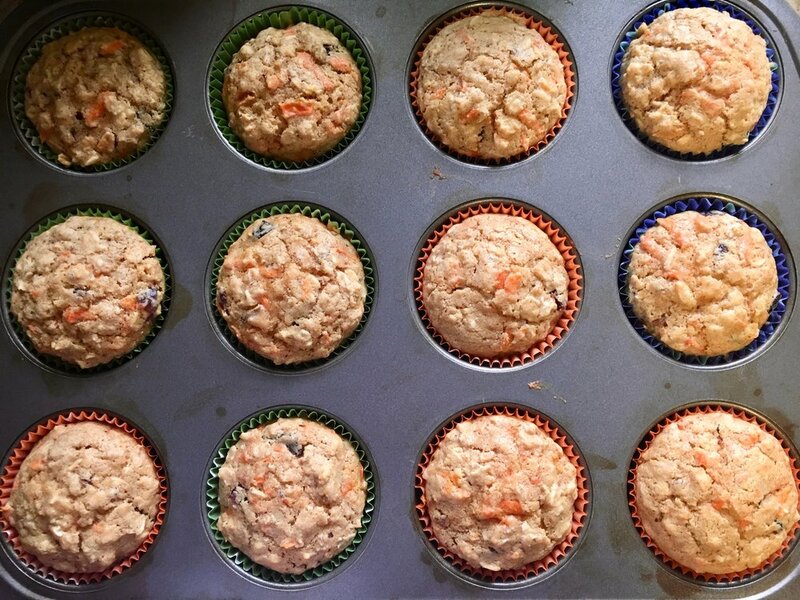 I made these carrots muffins again this week and took some photos for you. Caleb didn't eat two of them the first day, but he did eat them. I froze a couple of them as well to pull out in times of need. Freezing things is awesome...but I need a bigger freezer. I made a slight change with the sugar and flour but otherwise followed the recipe. I keep thinking about these muffins. They aren't all that sweet, and this comes from a girl that loves sweet muffins, but they are addicting somehow. My first bite I'm like, oh these are good. But I keep eating more and suddenly the muffin is gone and I want another one. I hope you try them and enjoy them. And I hope your kid eats them, too. I hope Caleb continues to eat them. That happens you know. He'll eat something and then suddenly it's on the "no eat" list. Please let that not be the case. Oh, please. 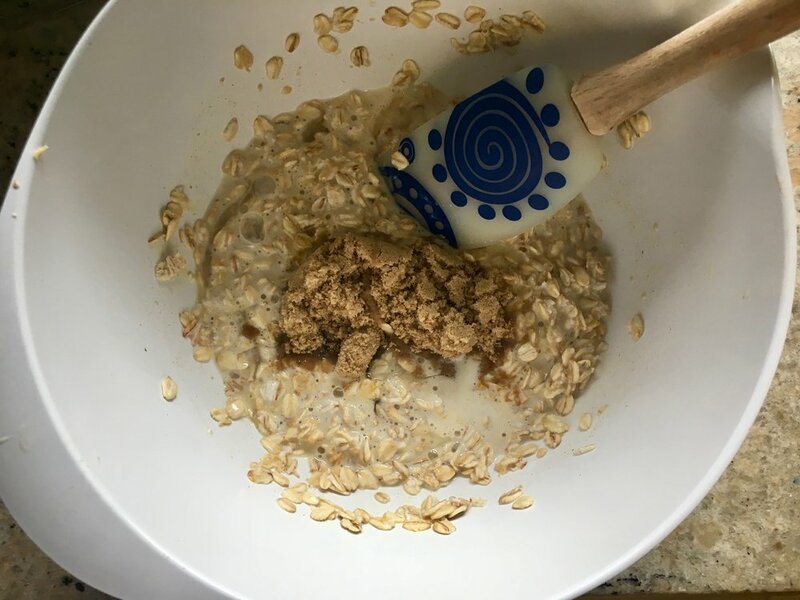 In a large bowl, combine milk and vinegar then stir in oats. Let the mixture stand for 1 hour. Preheat oven to 375°F. Line a twelve-cup muffin pan, or 24-cup mini muffin pan, with cupcake papers. 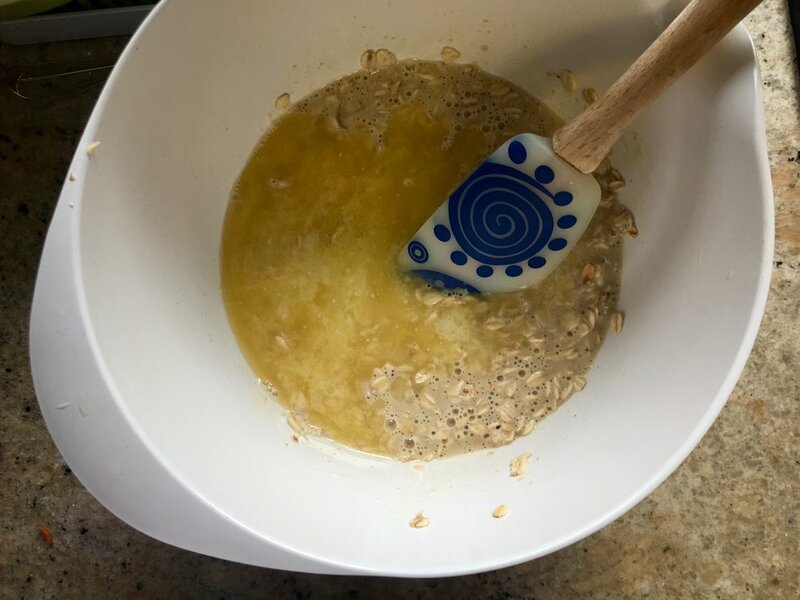 Add the egg to the oat mixture then add brown sugar; beat with a whisk to combine. Whisk in melted butter. Sift flour, baking powder, baking soda, salt, cinnamon and nutmeg into the bowl. Gently fold into batter, taking care not to overmix. 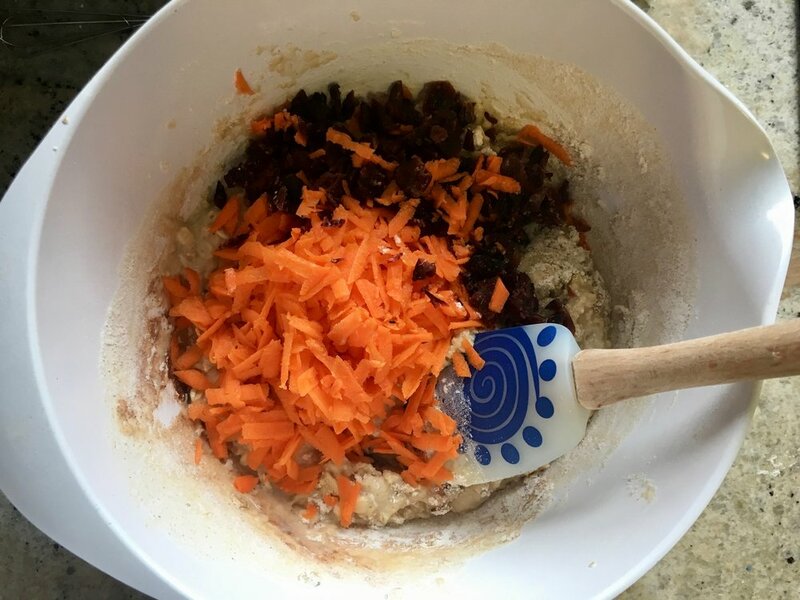 Sprinkle shredded carrot and cranberries into the bowl and combine muffin batter gently but thoroughly. 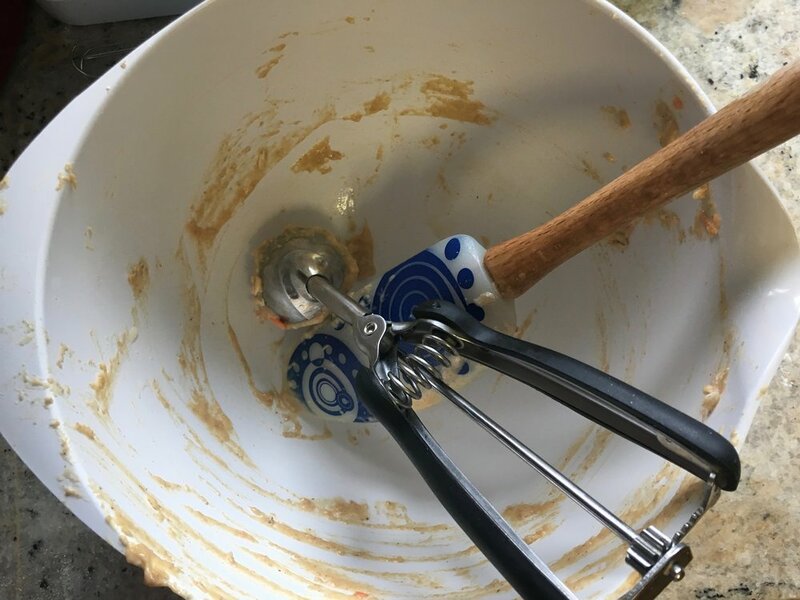 Use a large cookie scoop to scoop batter into muffin tins. Bake until light brown and tops spring back when gently touched, 12 to 14 minutes. Cool in pans for a few minutes, then transfer muffins to a rack to cool completely.